Patients today are bearing more of the cost of their own healthcare than ever before. As a result, they have begun demanding to know the cost of a service or product prior to it being administered. In turn, this has driven rising demand from physicians for new ways to more effectively manage the cost conversation with their patients. 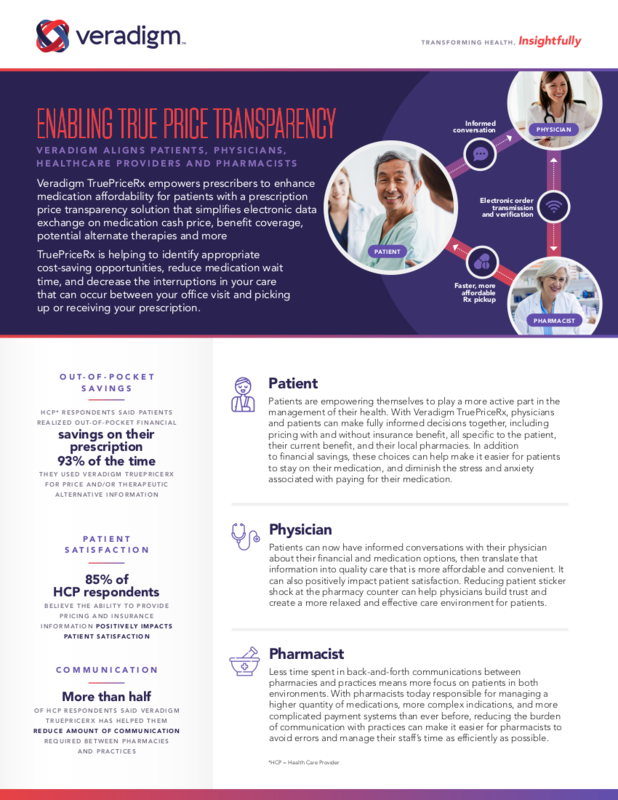 Automated prescription price transparency tools can deliver real-time, patient-specific out-of-pocket prescription costs directly into the physician’s electronic workflow. While technologies to address this challenge have been available for more than a year, relatively little data has been published on the observed effects of their use on practices and the patients they serve. This article focuses on the impact of this technology across patients, physicians, and pharmacies including patient financial savings, patient satisfaction, and efficiency of practice-pharmacy communications.